‘I busted me plugger after a singlets and stubbies party'. Somewhere out there, there's a fascinating thesis that's just waiting to be done on the reasons why an Australian accent is just funnier than anything else. Maybe it's because they've such a unique way with words - countless interviews with Nick 'The Honey Badger' Cummins are proof of this - but any video with that unique 'Down Under' twang is just tops with us. 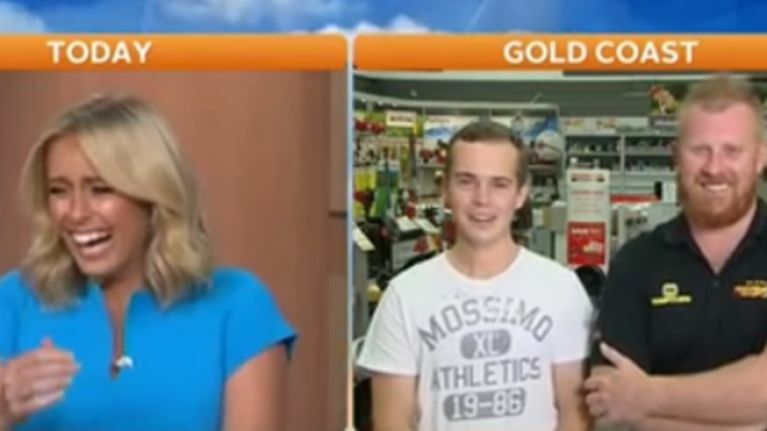 James Ross-Munro and Kane Wiblen had the news presenters from Australia’s Channel 9 absolutely crying with laughter after they described a recent robbery that they foiled. Apparently the two men were attending a “stubbies and singlets” party at a local bar before they intervened when an incident flared up at the local petrol station - or "servo” as they call it. The answer that they give when asked if they go to the gym is absolutely great. Happy Australia Day everyone!